Now that I have lowered stress levels, I have begun a new project. 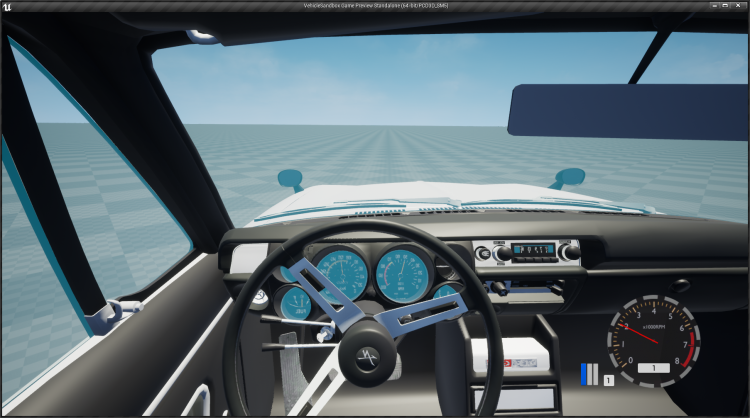 I want to create a fun and realistic racing simulator, so along with my friend Jeremy (from now referred to as GemStar) we have began putting things together. In the past I have meddled making game engines, but never got around to making a full on game... rather than try to work on both a game and the engine, I opted to use UE4. I have been working hard on making accurate vehicle physics whilst GemStar does some map making. Check out the demonstration video and screenshot below. If you'd like to see or know more, just keep checking back for more updates and if you would like to be involved, don't hesitate to drop me a message.